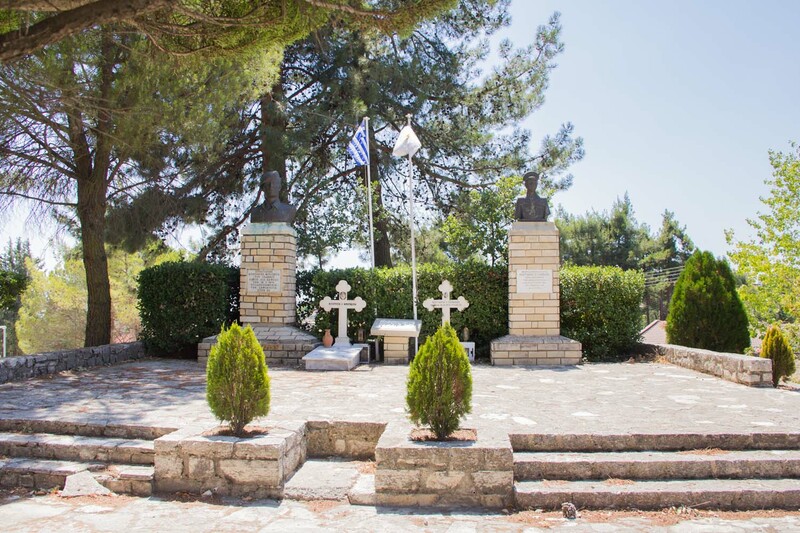 The heroes’ monument with the cupreous statues of Kostakis Savvides and Philippos I. Kritiotis is located in the parvis of the church of Sotiros (The Saviour) in the village Statos/ Agios Photios . These two men were born and raised in a small village in Paphos, named Statos. They both were soldiers in 1974, when the Turkish invasion occured. 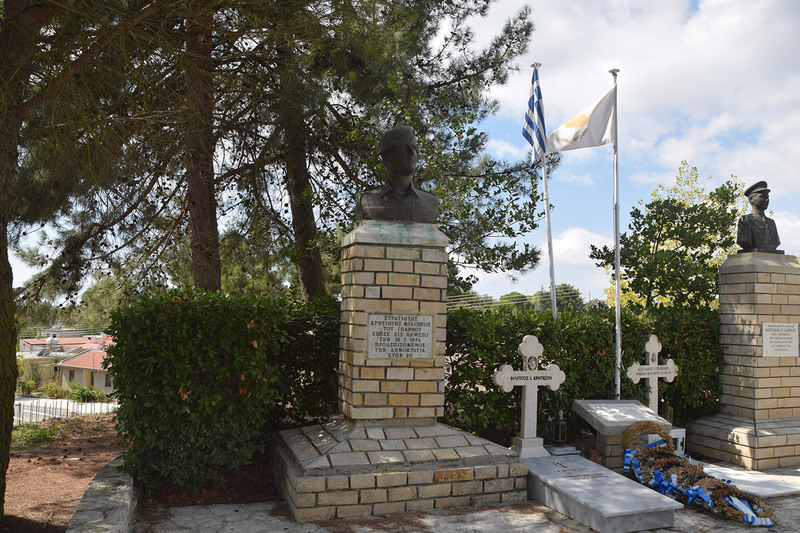 Philippos was killed a day after the coup took place, by people who planned the coup (E.O.K.A. B’). 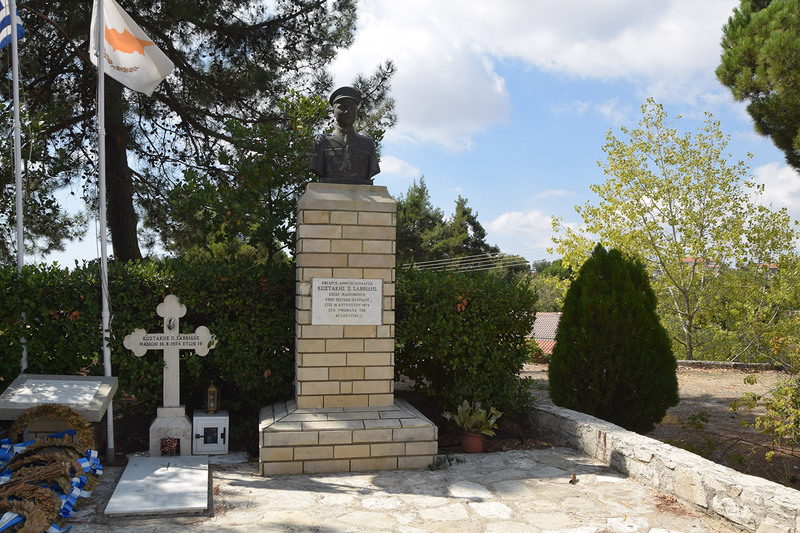 Kostakis Savvides was murdered by Turks during the second invasion on the 16th of August, when he was called to protect his country by trying to intercept the march of the invader near the suburb of Aglantzia. 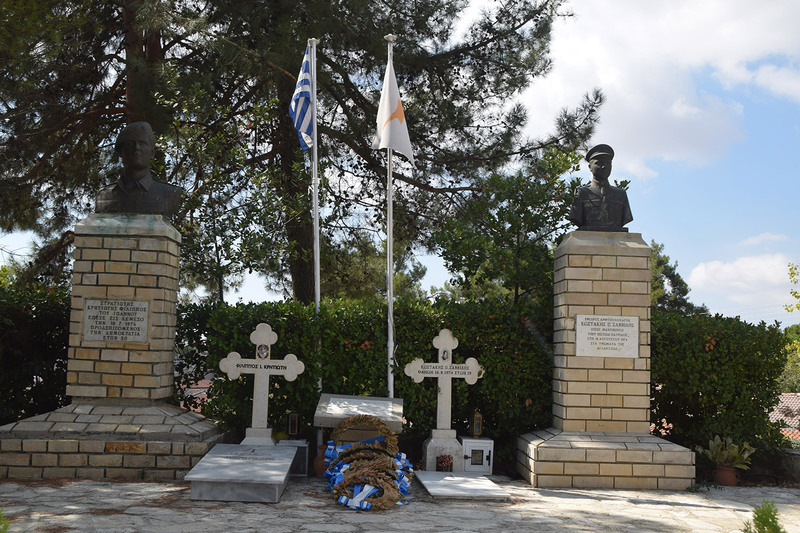 When the coup occurred, Philippos Kritiotis was on leave in Statos. As soon as he found out about the coup, he tried to go to Nicosia. According to witnesses, he was seen fighting in Limassol. He was arrested by people of E.O.K.A. B’ and was executed on the 16th of July in 1974. The annual memorial service reminds to everyone the lethal summer of 1974. The busts of these two young men are an indisputable proof of the tragic events of 1974. Cyprus 1972-1974, Democracy was built on blood, ed. Chrysanthos Chrysanthou, Nicosia 2004.